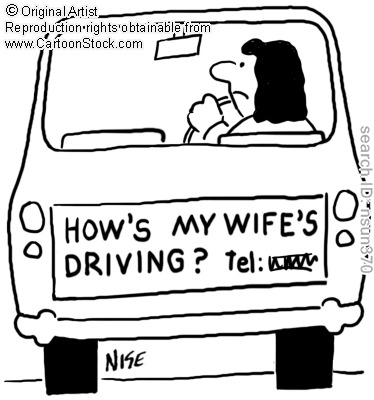 Hubby was, and still is, very strict when it comes to my driving. When he was teaching me to drive the "American way" (as opposed to my Philippine way of driving), oftentimes we would end up getting into each other's nerves, or worse, on a 'head-on collision'. It came to a point when he no longer allowed me to drive the car. However, I am the type of person who does not easily give up, and one day, without his knowledge, I went to the Florida DMV and took the road test, which I passed in just one take. Two weeks after getting my driver's license, I gave him the surprise of his life when I handed him my license. Driving has afforded me more mobility and a new sense of freedom. I now drive myself to school, church, hair salon, the shopping center and do errands on my own. Being able to drive is not only advantageous to me but it has also made hubby's life easier because he can now do his own activities instead of driving (and waiting for) me to my appointments. 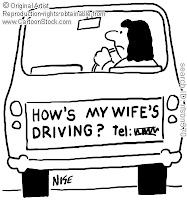 Pretty soon, I am buying my own car so at this point, while doing research on the SUV model that am considering, I am also looking at auto insurance quote by different companies to find out whether I can get a more affordable insurance rate than what my hubby is paying now for his car.